Coca-Cola hasn’t waved the social media flag as hyperactively as competitor Pepsi, but the Atlanta-based soda giant has been anything but sluggish on the marketing innovation front. And Coke's digital push is increasingly global, underscored by a recent effort that is bringing free WiFi to coolers in convenience stores and other shops in Latin America. That initiative, dubbed "Project Wire," follows in the footsteps of its branded social media channels, Coke.TV and Coke.FM, launched in the region during 2010. "We don't want to simply be sponsors anymore," said Guido Rosales, an advertising director for the beverage company’s Latin America division. "We want to own the content. And we want to democratize the content on digital mediums, whether tablet, laptop or smartphone." Earlier this week, we sat down with Rosales at a midtown New York hotel lobby to talk about Coke’s digital evolution in Latin America. He repeatedly pointed to marketing that's designed to attract teens and college-aged consumers. Following are some excerpts from that conversation. Adweek: In May, your team helped put on a Paul McCartney concert in Mexico City, while streaming it live on Coke.TV. Five hundred thousand people, according to your technology partner ThisMoment, tuned in online and watched for an average of 42 minutes. What about the Coke.TV experience makes it sticky and/or interactive? The viewers can see and [choose] different camera angles. They can tweet and chat with friends on Facebook. We allow them to start conversations. What is the key goal behind the Coke.FM channel? We want to give the mic to teens. We want them to be able to express themselves…We are expanding Coke.FM this year. We expanded in April to Ecuador. We are in Colombia, Brazil, and we are spreading the effort through other countries in Latin America. Let’s talk about Project Wired. More and more, brands are trying to provide consumers with a utility—something they can actually use—rather than just a message. Is that concept at the core here? We want to democratize Internet access in Latin America. For teenagers, many do not have it because the cost is very expensive to them. We want to put a WiFi router at every cooler at every point of sale. It's starting as a pilot at two locations near universities in Mexico City, right? Yes, but our mission is huge. At the end of the year, we want to be in 150 locations. And then we want them to have popularity across Mexico and then Brazil…We want to create a better brand experience. We want to democratize content and democratize access to the content. We want to create more brand love. How important is Facebook in Latin America? Very important. We launch all of our campaigns first with our 7 million Facebook fans. With [a recent video initially posted to Facebook], we almost immediately had more than 500,000 people watching that commercial on YouTube. Second week, we had 1.5 million. After four weeks, we had 2 million. We didn't do anything else but post the commercial on Facebook. But there were some negative YouTube comments too. 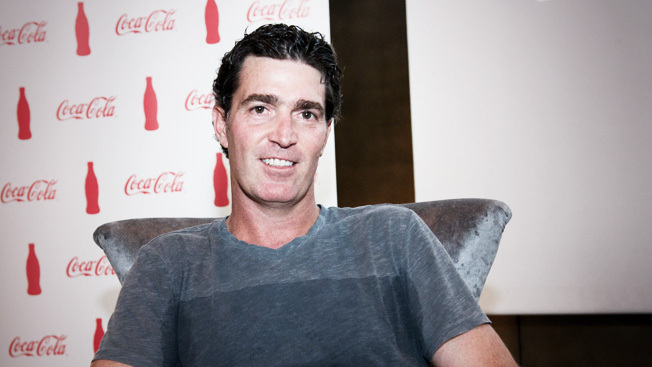 How does Coke deal with negative social chatter? We started having conversations with our partners like YouTube. And they said, "Guys, this has to be an organic conversation. You need to let people talk about your brand." Then we saw that 90 percent of the conversation was positive. That was incredible. We were learning. Do you buy Facebook ads? Yes, sometimes it's a part of our media mix.